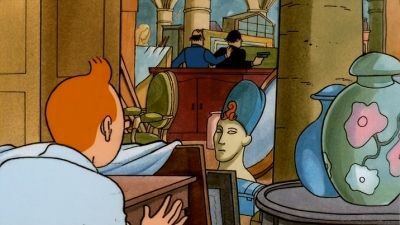 In search for the prisoners and Professor Calculus, Tintin and Captain Haddock head for the "Temple of the Sun". 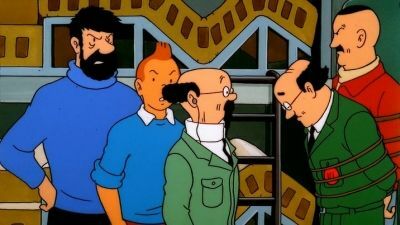 After receiving a telegram from Professor Calculus, Tintin and Captain Haddock travel to meet him at the atomic centre in Syldavia. They soon discover that the secret rocket ship documents have been stolen. Tintin, Captain Haddock, Professor Calculus and Wolff blast off to the moon. 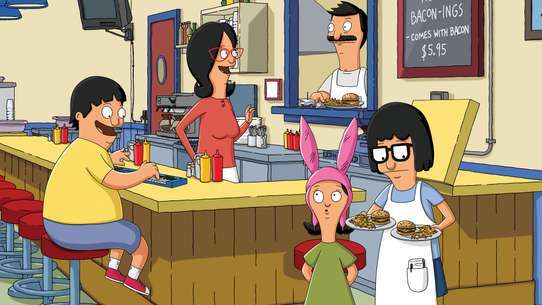 They soon discover that the Thompsons' have somehow slipped on board. 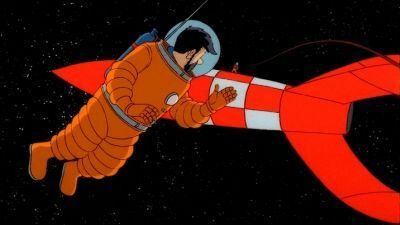 Tintin and Captain Haddock have been asked to be part of the expedition to the moon. 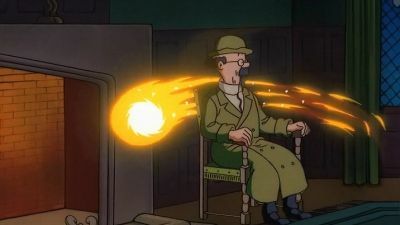 As they help Professor Calculus prepare for the launch, Tintin persists in finding the internal spy. 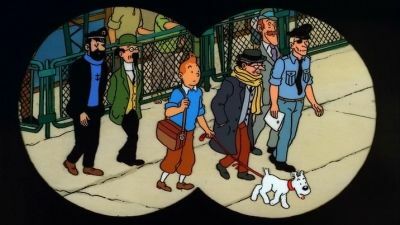 Tintin, Captain Haddock, Professor Calculus and Thomsom and Thompson go for a treasure hunt in this episode. At end of the book finally they find the treasure and Captain buys back his family estate Marlinspike Hall with help from Professor Calculus. 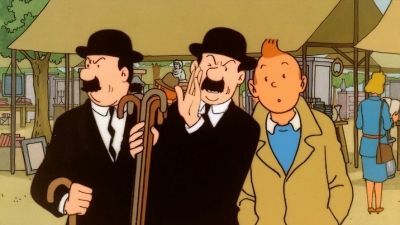 Tintin and captain Haddock discover that Professor Calculus has been kidnapped. Tintin, Captain Haddock, Calculus, the Thompsons' and Wolff uncover the wonders of the moon. They also discover another person aboard the rocket ship who threatens to leave them all stranded on the moon. 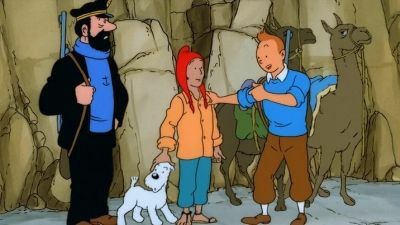 While trying to rescue a kidnapped millionaire, Tintin receives help from an unlikely source. Tintin is not the only one who knows the secret of the parchment hidden inside the ship's mast. The Byrd Brothers, antique dealers, also find a copy of the model ship Unicorn in their basement. 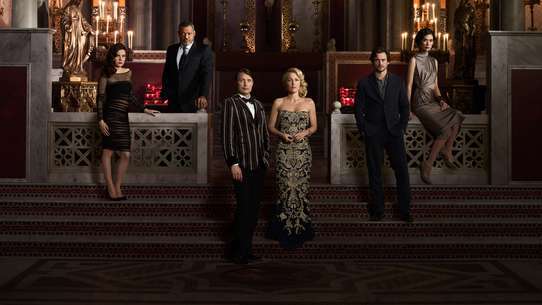 They also start looking for the other two parchments, and they are not really the friendly kind. 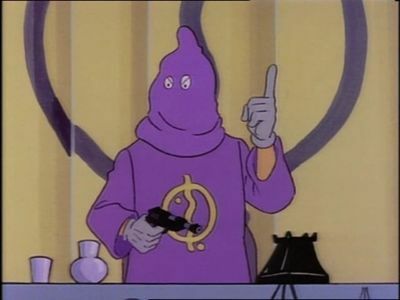 When their agent, Barnaby, tries to warn Tintin about the Byrd Brothers they try to kill him and also kidnap Tintin to find out about the parchments that they are missing. At last the parchments are recovered and the mystery solved. 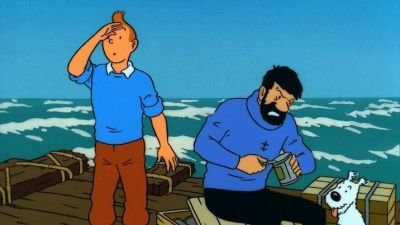 Tintin and Captain Haddock try to stop a terrible refugee smuggling ring and end up trapped with the other prisoners out at sea. It all starts with Tintin's finding a ship in the Old Street Market and buying it for Captain Haddock as a gift. Little he knows at that point that it will turn into a treasure hunt, because the model ship Unicorn is a copy of the ship that was commanded by Sir Francis Haddock, Captain's ancestor. Tintin and the Captain travel to Peru in search of Professor Calculus. Tintin finds himself – by chance – entangled in a drug traffickers’ ring, which will take him all the way to India. 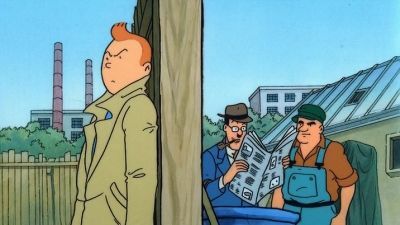 Tintin takes the chance of crossing the Japanese lines to have the poison analyzed even though there is a price for his head with the Japanese. 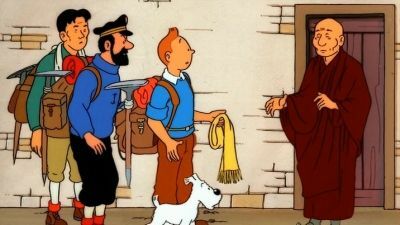 Tintin passes the Japanese line in disguise and comes to Professor Fang Hsi-ying's house. While waiting there for very long time he learns that the Professor left with a gentleman called Mr. Rastapopoulos. 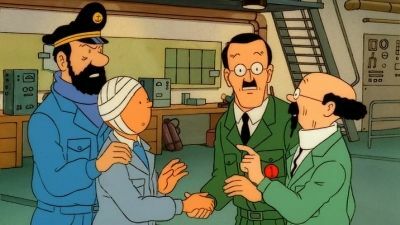 While looking for the Professor, Tintin comes to Mr. Gibbons, who takes him to Dawson and Dawson turns him over to Mitsuhirato. 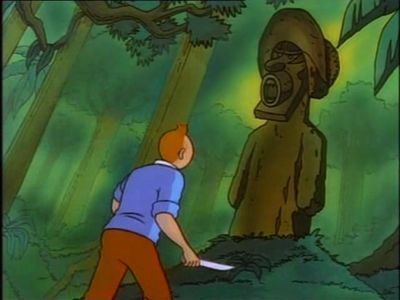 But with Mr. Wang's help Tintin escapes and goes to Hukow where the ransom is to be paid for Professor Fang. On his way, he saves a orphan boy called Chang from flood water. They become friends very quickly and journey to Hukow together. 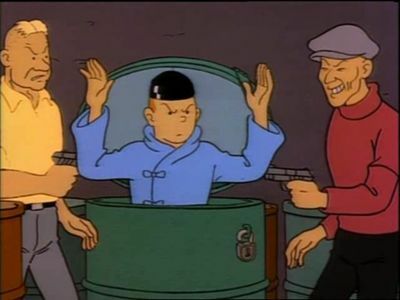 There a cameraman tries to kill Tintin and Chang saves him. Tintin learns from the cameraman that the ransom letter is a false letter to send police to the wrong trail. Next Tintin goes to Mitsuhirato's house and finds out that they are going to attack Mr. Wang. 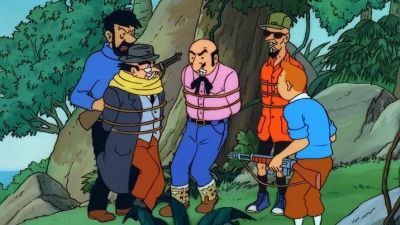 Tintin becomes caught up in the kidnapping of a millionaire. Strange events at Marlin Spike Hall and the kidnapping of Professor Calculus send Tintin, Snowy and Captain Haddock on a dangerous rescue mission. Tintin, Snowy, Captain Haddock and Professor Calculus are taking it easy on a vacation. 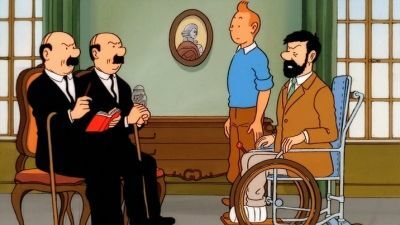 Tintin receives a letter from Chang saying that he will be going to Kathmandu to visit his foster-uncle, and the next day, Tintin reads about a 'plane crash; the 'plane he is sure Chang boarded. 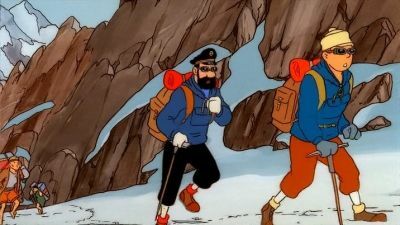 He and Captain Haddock immediately leave for Tibet via India, for the crash site. The sherpas escorting them abandon the party out of fear for the Abominable Snowman, the Yeti, all except Tharkey. When Bianca Castafiore's prized jewel disappears, Tintin secretly investigates the situation. Tintin's plane crashes in India. Here he finds Sarcophagus who is effected by Rajaijah juice, poison of madness. He meets the Maharaj of Gaipajama whose family has been fighting the opium business. 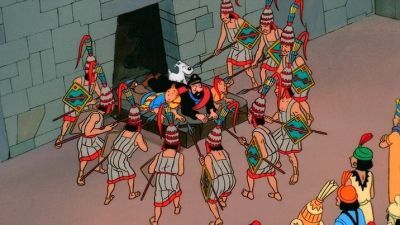 With the Maharaja's aid and by his presence of mind Tintin captures the whole gang and stops the Opium business in those areas. 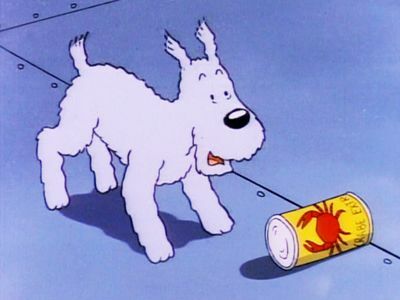 It all starts with Snowy's picking in garbage and finding a can with crab picture printed on it. Later that day he meets Thompson and Thomson and finds a piece of paper with the same crab picture in their possession. 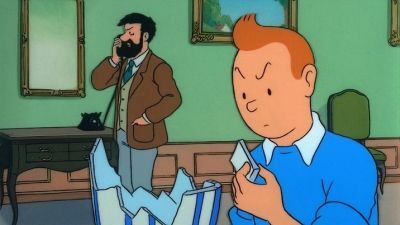 Tintin finds the word Karaboudjan at the back of the paper. 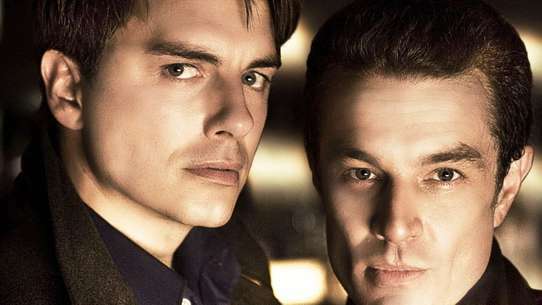 He learns from the Thompson Twins that the drowned man in whose pocket they found the paper was a man from the ship called Karaboudjan. 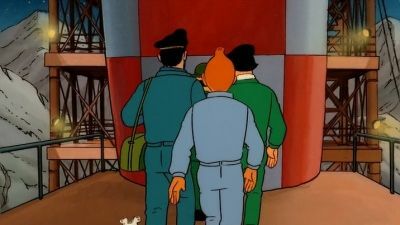 So he pays a visit to the ship and the first mate Allan senses that Tintin is upto something and tries to kill him. While cornered in a cabin, Tintin finds out the crab tins are full of Opium. Tintin finds Captain Haddock in the ship who is an honest man and easily satisfied with Whisky. So First Mate Allan just keeps him under his control with Whisky and uses the cargo to smuggle Opium. 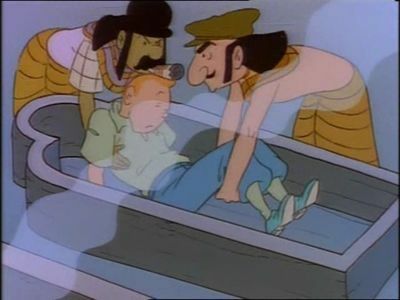 Tintin takes the Captain with him when he escapes from the ship. Tintin, Snowy, Captain Haddock and Professor Calculus are taking it easy on a vacation. Tintin receives a letter from Chang saying that he will be going to Kathmandu to visit his foster-uncle, and the next day, Tintin reads about a 'plane crash; the 'plane he is sure Chang boarded. He and Captain Haddock immediately leave for Tibet via India, for the crash site. The sherpas escorting them abandon the party out of fear for the Abominable Snowman, the Yeti, all except Tharkey. 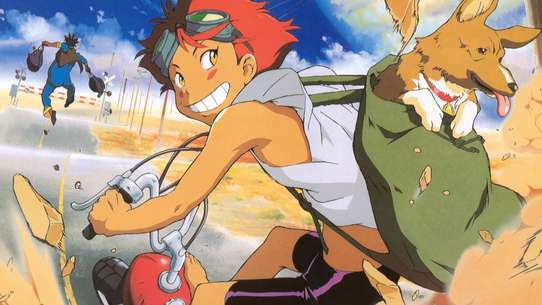 The search takes them to a monastery and to the cave of the Yeti from where they finally rescue Chang. Tintin investigates the mysterious illness that coincidentally falls upon all seven members of a South American expedition. Tintin and Captain Haddock travel to Khemed to rescue the Emir from the danger of arms smugglers who have overthrown his government. 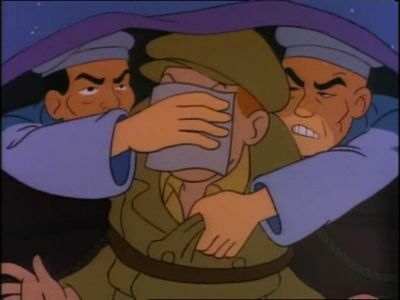 After the adventure of The Cigars of the Pharaoh, while Tintin spends some time with Maharaja of Gaipajama, a messanger comes from Shanghai, and before he could deliver his message, he gets effected by Rajaijah juice, the poison of madness. Only thing Tintin could get out of him is the name of the person, Mitsuhirato, who sent this messanger. Tintin leaves at once for Shanghai and there he meets Mr. Mitsuhirato. Mitsuhirato tells Tintin to go back to India because the Maharaja is in danger. Meantime someone keeps on saving Tintin from getting killed by some unknown person. 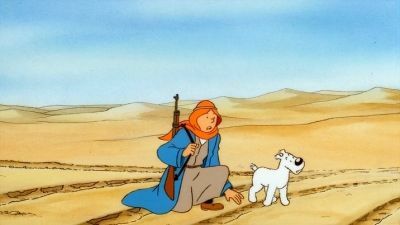 Later Tintin finds this friend, who has been trying to save him, has been affected by the poison of madness. With a lot of unanswered questions Tintin leaves Sanghai. 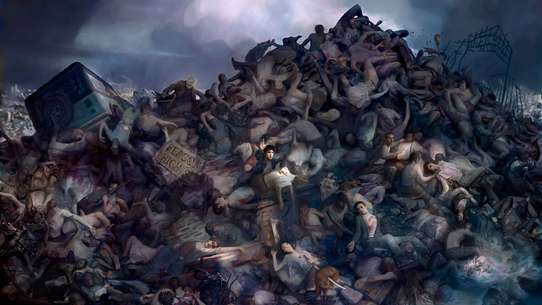 But on his way to Bombay he is kidnapped by Wang Chen-yee to explain the incidents. 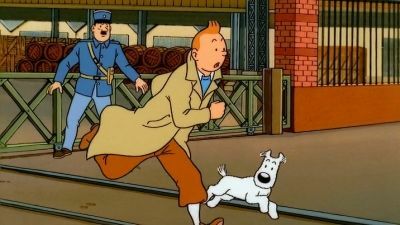 Here Tintin learns, the person who has been trying to save Tintin's life is Mr. Wang's son. Tintin also learns that Mitsuhirato is a Japanese secret agent in China.